Gunsmoke, the long-running television Western (20 years plus later TV movies extending it another 19 years! ), underwent a big change in 1961 when, at the beginning of its seventh season, the show expanded from 30 minutes to a full hour. As noted in my review of The Sixth Season, Volume 2, there was a trend toward this kind of thing among prime-time network shows in the early 1960s, with Alfred Hitchcock Presents/The Alfred Hitchcock Hour and the expanded Twilight Zone, also CBS shows, being the most obvious other examples. Those longer running times caused both shows to suffer, particularly Twilight Zone which for its stories was perfectly suited to episodes running about 25 minutes minus the commercials. Before switching back to a half-hour for its fifth and final season, 18 hour Zones were produced but of those only two could truly be considered excellent. Most of the others were weak and felt padded. Unexpectedly, Gunsmoke actually benefits enormously from the switch, at least judging by these earliest hour shows. (Gunsmoke stayed an hour program for the next 13 years, until its cancellation in 1975.) Everything that was good about the half-hour Gunsmoke has been retained, while the longer running times allow for more complex stories, additional continuing characters, and far richer characterizations. I was expecting the series to drop a peg or two quality-wise but, truly, here's it's as good as ever. I've sung Gunsmoke's praises many times already, having reviewed the first season, the the second season, volumes 1 and 2, the third seasons, volumes 1 and 2, the fourth season, volumes 1 and 2, and the fifth season, volumes 1, 2, and the sixth season, volumes 1 and 2. This volume, The Seventh Season, Volume 1 includes the first 17 episodes of the 1961-62 season, spread across five discs instead of the previous sets' three. Sponsor material and, for the first time, preview trailers of next week's episodes are included (on about one-third of the shows). As before, U.S. Marshal Matt Dillon (James Arness) and his eccentric, game-leg assistant (not deputy) Chester Goode (Dennis Weaver) are still maintaining the peace in unruly, barely-tamed Dodge City, Kansas. The various gunslingers and cattle rustlers causing Marshal Dillon no end of grief usually can be found drinking and gambling at one of the innumerable saloons. Matt's friend Miss Kitty (Amanda Blake), formerly a (coded) prostitute, is now half-owner of the city's finest, the Long Branch Saloon. She's also its madam, and though the audience doesn't get to see much of that business, it's implied. Matt's line of work often requires the services of cantankerous Doc Adams (Milburn Stone), another close friend of Matt, Chester, and Miss Kitty. Writer John Meston (1914-1979) was to Gunsmoke what Rod Serling was to Twilight Zone; he penned an incredible 257 episodes of the series during its 20-year run, and that's not counting episodes of the radio show he also wrote (though there was a lot of crossover, apparently). Two of his favorite devices are the "What's Going On Here?" and "How's Matt Going to Solve/Get Out of This?" structures, with Matt presented with a puzzling situation/irresolvable conflict at the beginning of the episode, and he and other characters working through the mystery which is revealed/resolved, often violently, at the end. A favorite plot Meston did myriad riffs on has cool cucumber Matt withholding judgment on an accused killer's guilt or innocence while all of Dodge City is ready to lynch the accused. Sometimes in these shows the accused is a friend of Matt's, like Chester, sometimes he's a guest star, but always, even with a mountain of evidence stacked against him, Matt remains calm and just. The season opener, "Perce," is another excellent show (and scripted by Meston), with Matt meeting the mysterious title character (Ed Nelson) on the prairie shortly before Perce saves Matt's life from several hostile gunfighters. Later, Perce admits he's an ex-con himself and struggles to find work in Dodge until Matt helps him out. (This also hints to Matt's murky past when, it's implied, he was briefly an outlaw himself.) But then Perce falls for a manipulative, gold-digging prostitute (Norma Crane) who'd rather see him return to his more profitable if crooked ways. Though a familiar story, like "Long, Long Trail" it unfolds leisurely and methodically, with the audience soaking up Nelson's character, with Matt and the other residents of Dodge sizing him up. The episode ends quite dramatically; when it was over I think I actually said "Wow," out loud, to myself. Directors giving Gunsmoke its movie-worthy appearance primarily include Andrew V. McLaglen and Ted Post, while Harry Harris, Richard Whorf, Gerald H. Mayer, Dennis Weaver, and Tay Garnett picked up the slack. Writer John Meston is credited with writing or co-writing most of these 17 scripts, but some of the more interesting were written by Wichita-born Kathleen Hite (1917-1989), a secretary at CBS Radio who rose through the ranks to become its first female staff writer, and who eventually penned dozens of TV Westerns and created the series Empire (1962-64), starring Richard Egan and Ryan O'Neal. Gunsmoke looks exceptionally good on DVD. Shows are a bit overly grainy (especially during the opening titles, reworked slightly for syndication) but otherwise they're very sharp, very clean. The 17 black-and-white episodes are spread over five discs, with a total running time of about fourteen hours and 19 minutes. The Dolby Digital mono (English only) is clean and clear, and the shows include optional English SDH subtitles. The packaging allows viewers to read the episode descriptions inside the snap case without having to remove any of the discs. Supplements this time include a modest sampling of sponsor spots, and previews for next week's episodes on about one-third of the shows. 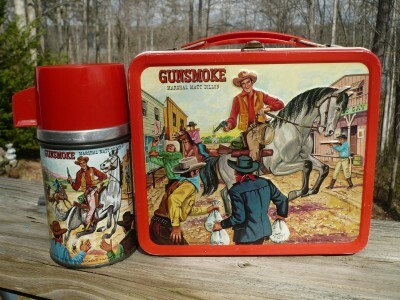 Technically, the Gunsmoke expansion was only partially successful. The ratings actually dropped, from the Number 1 prime-time show with a 37.3 rating to the Number 3 show (behind Wagon Train and Bonanza) with a 28.3, though it did extend CBS's dominance over Saturday nights to 11:00. (Gunsmoke followed Perry Mason, The Defenders, and Have Gun - Will Travel; not a bad evening's entertainment.) More significantly, the quality of the show not only doesn't suffer, it's as good as ever. A DVD Talk Collector Series title.